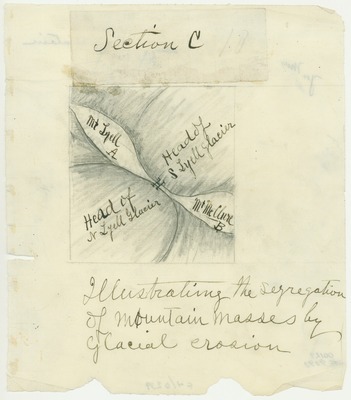 Preliminary drawing, revised and published as figure 6 in "Studies in the Sierra No. VII: Mountain Building." Original drawing dimensions: 21.5 x 18.5 cm.